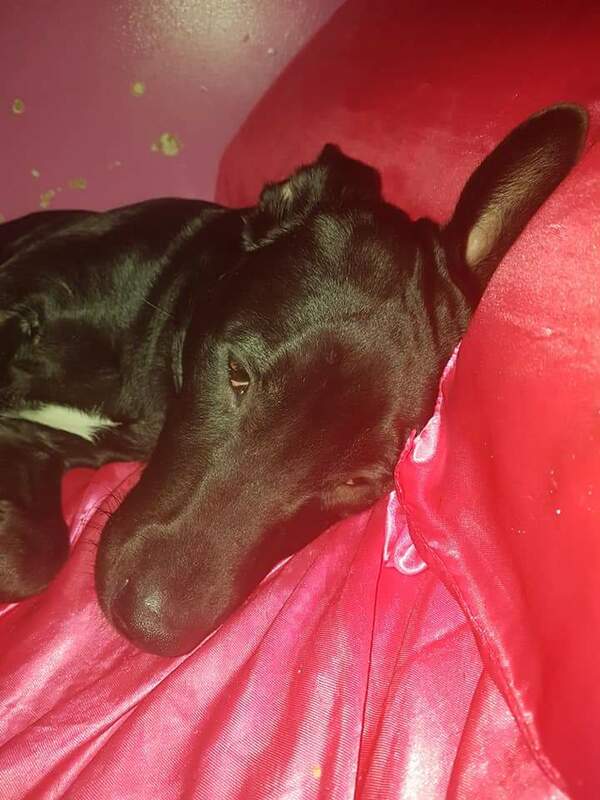 I have about 8 month old puppy who is very loving excitable pup but unfortunately I can no longer look ather him as my mum as rententy become very ill is in very ill health I can not give him the time and love he needs . I have no garden of my own as we live in a down stairs flat with a small shared garden that I won't let him go out on his own it not safe. I sadly don't have the time to take him for his many and longs walks and play time he needs any more. I am very upset about letting him go he has been my best friend over the last few months always been there for me I not had him long he was my first and dream dog to have. I wish it didn't have to come to this I be lost without him this is heart breaking. He needs a good loving home somone who has plenty of time for him give him lots of love and care. He good with people and other pets he is a very loveable pup who loves alot of fuss cuddles. He is buncey full of life . He still needs some training on the lead .He loves his toys treats and food. He will come with his toys food and water bow toys and blanket.